HOW TO PREPARE FOR NEXT YEARS EVENTS/RACES? The main focus of the early winter training is building a base and preparing for next years races/events. There are two ways to do this, either pure steady base miles or a mixture of base training with high intensity thrown in. Base training alone is a slightly old school method, and very time-consuming. The positives are that it breaks up the routine of high-intensity sessions from summer training and is great for working on that overall bike strength. However, unless you have vast amounts of free time and good weather during the winter, it can be very difficult to get the required time on the bike to achieve all the desired training effects. For most of us who are time-limited, the best approach would be to combine the classic base training method with high-intensity sessions built into the winter blocks. The addition of high-intensity workouts during this time is to help generate enough of a training stress in a limited time period. There is no need to be overly concerned around absolute power values of these rides. Over time you can gradually increase the intensity and quality of the high-intensity training when moving out of the winter training months. Aim to still work to a 4-week block basis. Three-week progressive increasing the load to build and progress and one-week recovery. This should help to manage your fatigue and form. During the initial months, the increasing load through the three weeks should be a rise in duration rather than intensity. Adding a few more hours each week until the recovery week then starting again in the next training block. This may also be a good time to put together a training plan to get you ready for next years big goals. A logical and well-structured plan will help you stay focused and motivated through the long winter months. Lastly, the winter is a key time to focus on some strength and conditioning work. This will help to maintain and build strength, power, and flexibility. 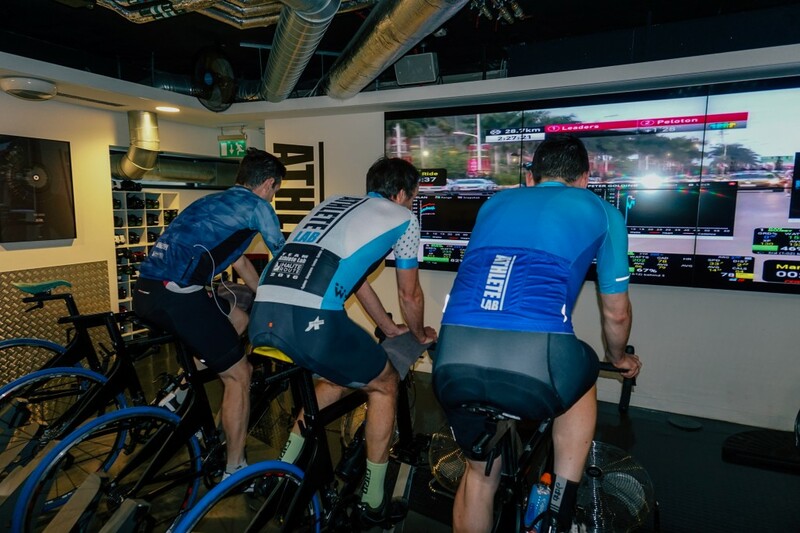 By adding the majority of off the bike sessions in during the winter you will not negatively impact races or high-quality intensity sessions with muscular fatigue like you would if the bulk of your off the bike strength was during the summer or peak race season. Email us at [email protected] to book your free coaching consultation.